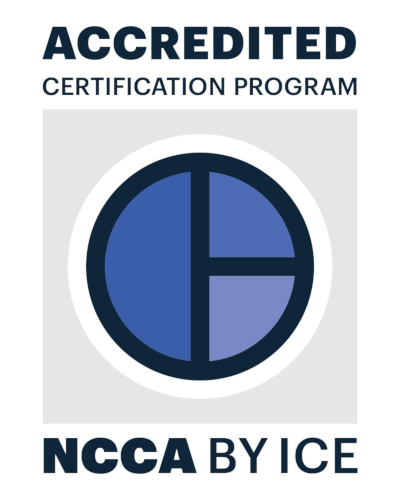 The NCCPT has been certifying health and fitness professionals for 20 years. Our CPT credential is nationally accredited by the NCCA, whereby we provide students the best value for the best price. Is your certification about to expire? Do you need Continuing Education Units? Choose from a variety of inspiring programs to enhance your knowledge and motivate your clients! The National Council for Certified Personal Trainers (NCCPT) has been supplying the fitness industry with certified fitness professionals for over twenty years! The NCCPT currently offers certifications in personal training (NCCA accredited), group exercise, yoga, indoor cycling, youth fitness, senior fitness, strength training, power lifting, kick boxing, flexibility and weight management. Students may obtain study materials online and/or go to workshops. The online personal trainer certification study materials consist of a text book or manual, hands-on videos, study guide and a sample test. In order to get certified, students must pass the final exam. Certifications are valid for two years. During that time, students must obtain continuing education units (CEU’s) in order to maintain their certification for another two years. The NCCPT offers these CEU courses as well. The NCCPT certifications are accepted at all the major health club chains in the United States and Canada and has certified tens of thousands of fitness professionals. The NCCPT curriculum prides itself on being the best certification for preparing students to succeed in a commercial health club. It presents the science in such a practical matter, you’ll be able to start right away and excel at your craft.